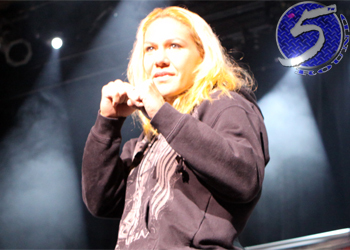 A day after the California State Athletic Commission suspended Cristiane “Cyborg” Santos (Pictured) one year for testing positive for stanozolol metabolites and getting stripped of her Strikeforce featherweight title by UFC president Dana White, the now-former champion issued a statement regarding her predicament. “I would like to sincerely apologize to Strikeforce, the Zuffa organization, Hioko Yamanaka and her fans for her failed drug test. I am ultimately responsible for everything I put in my body, and at the end of the day, there is no excuse for having a prohibited substance in my system. I do not condone the use of any performance enhancing drugs by myself or any other professional athlete, and willingly accept the penalties and fines that have been handed down to me by the California State Athletic Commission and those of the Strikeforce/Zuffa organization. While I was preparing myself for my last fight I was having a difficult time cutting weight and used a dietary supplement that I was assured was safe and not prohibited from use in sports competition. It was never my intention to obtain an unfair advantage over Hiroko, mislead Strikeforce, the Commission or my fans. I train harder than any fighter in MMA and do not need drugs to win in the cage, and I have proven this time and time again! My only mistake is not verifying the diet aid with my doctor beforehand, and understanding that it was not approved for use in the ring. Unfortunately in the end I suffer the consequences and must accept the responsibility for my actions. The CSAC also overturned Cyborg’s knockout win over the Japanese fighter to a no contest and fined her $2,500 for flunking her drug exam.